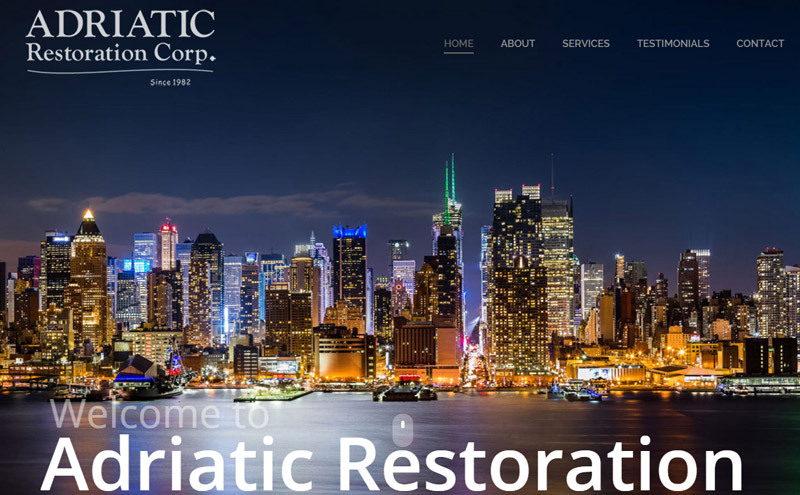 Adriatic Restoration, Inc. | Web SoCal, Inc. The company, incorporated in 1982, offers professional exterior building restoration and waterproofing services to the New Jersey/New York Tri-State area. We specialize in exterior building restoration, repairs, waterproofing, and protection on brick, concrete, steel, stucco, and stone. Click here to learn more our restoration services in New Jersey / New York area.